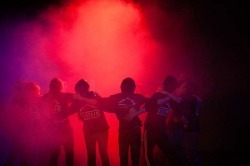 ISTA run a festival specifically for IB DP theatre students called TAPS. it is a brilliant experience. Six of my Grade 11 and myself went to the ISTA TAPS at the International School of Beijing. 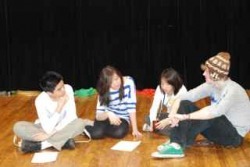 Students went through a variety of workshops and master classes that focused on fine tuning their skills for IB Theatre. We were also treated to performances in Peking Opera and acrobatics. One of the highlights was an excursion to the National Acrobatics training centre and being able to see the acrobatic in training then go to the show at night. That was a highlight. We were invited to join and present at this conference. It was special as BISS is not a member school of APAC. It was an excellent opportunity for the students as they work with Masters from Peking Opera on Gestures; Mime; Characters and Stick fighting. 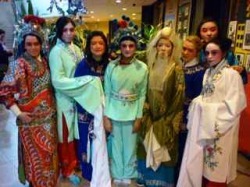 Students were placed into ensemblesand given a section of the Peking Opera story of " Lady White Snake". Using the skills learnt during the conference, the ensembles performed telling the full story of Lady White Snake.